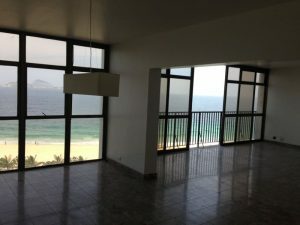 RIO DE JANEIRO, BRAZIL – Real estate growth experienced a downturn for the ninth consecutive month across Brazilian cities, falling for the first time below ten percent growth since 2012. According to an index calculated by FipeZap, the main data source of the Brazilian real estate market, the price per square meter of residential and commercial properties has remained at 9.9 percent during the past twelve months. Property in Rio de Janeiro is the most expensive in the country with an average cost of R$10,749 per square meter, photo by Kendall Clark. The index revealed Rio de Janeiro continuing to be the most expensive city in the country with a seller’s price tag of R$10,749 per square meter. São Paulo followed the Marvelous City with an average value of R$8,243 per square meter. August’s recording of 9.9 percent is the first time since FipeZap’s establishment (in 2012), that the index has reported a rate of less than ten percent. In July, the index recorded an accumulated market price for sixteen Brazilian cities at 10.4 percent. Last month was the first occurrence that the index was based on information from twenty cities, previous reports measured prices in sixteen cities, according to data released by the index. “There is undoubtedly a tendency of [softening] prices after economic growth over recent years,” says Bruno Oliva, a FipeZap economist, adding that the measures from the additional four cities did not influence the numbers for August, and the index would be less than ten percent, regardless. 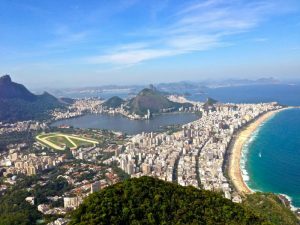 The monthly indexremained relatively stable for Rio de Janeiro, with a high of 0.47 percent in August, compared with 0.48 percent in July. The city reports a 6.13 percent increase for the overall year, falling behind Goiânia 9.1 percent, Victoria 8.3 percent and Campinas 7.02 percent. Real Estate growth in Brazil has dropped under ten percent for the first time since 2012, photo by Kendall Clark. The renter’s market does not look any more bullish in growth. The index registered a rate of -0.08 percent, against 0.35 percent in July. August accounted for the fifth consecutive month of deceleration in the city. Predictions revolving around price increases and decreases can be difficult to make because the uncertainty of the times, in relation to the country’s sluggish economy and unimpressive growth rate, remarks Leonardo Schneider, vice-president of SECOVI-Rio. Next month’s elections could also be ailing the market’s deceleration. For now, the market should remain ‘stationary’ with no significant gains or loses, “people are waiting to see what will happen after the elections,” notes Schneider. The month of October is going to be an interesting, yet anxious time both for politics and the economy. Few dare to predict what the market will do and there is no guarantee of course, especially during a time of flux in a country that could be on the brink of change.